Shutter care depends largely upon the style of shutters you have in your home and the materials that they are made from. Wooden plantation shutters, for example, will require different day-to-day maintenance than polysynthetic shutters. Knowing the appropriate methods for maintaining your shutters is important, however, because caring for your shutters ensures that they stay clean and pristine for years to come. To maintain your wooden shutters, you don’t need very much in terms of equipment or even expertise. All you really need is a vacuum or duster, a cloth, wood polish, and a soft-bristled toothbrush. About once a week or so, with either the vacuum or the duster, do your best to remove the dust, dirt, and dander from your shutters. A vacuum with a soft-brush attachment will work best to loosen up the grime and get rid of it for good instead of just spreading it around. 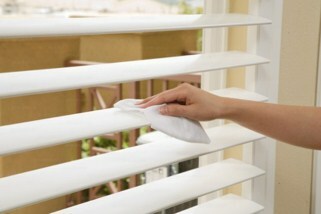 Next, using your cloth, apply the wood polish to your shutters. For the harder to reach cracks and crevices of your shutters, use your soft toothbrush to lightly spread the wood polish to these areas. One important rule to remember is to never use soap and water on your wooden shutters. Doing so can warp the wood and damage the finish. On the other hand, if you have polysynthetic shutters, using soap and water to maintain them is relatively harmless. We still recommend dusting first, but once this step is complete, you can use regular dish soap and water to finish the job. Be careful, however, not to get any metal hardware wet, as it can rust very easily and make your shutters difficult to maneuver. It’s best to use very little water. We recommend using nothing more than just a damp cloth with minimal soap, this will help minimize any effects on the paint and finish of your polysynthetic shutters. 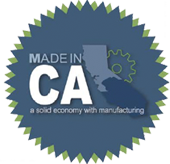 At French Brothers Custom Shutters, caring for shutters is our business. We pride ourselves in producing high quality, custom shutters, and it’s our goal to keep them looking elegant and new for as long as possible. Thank you for continuing to allow us to extend some of that dedication and care into your home.